The words 'Apple' and 'developer problems' are not often used together. Ever since the App Store debuted in 2008, Apple has had strong developer ties, handing over cheques for billions of dollars per quarter in exchange for best-in-class apps on their iOS and OS X devices. 'iOS First,' the idea that apps are made for iOS before Android, has become a common mantra amongst developers who believe that Apple's control of its ecosystem – there are, at any one time, only a handful of device permutations to develop for – create a better place to work and try out ideas. Numerous hit apps, from Angry Birds to Instagram, started out their life as iPhone-only, using the App Store to propel them to multi-billion dollar success. But increasingly developers have started to get angry with Apple. 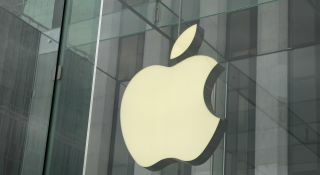 The company's iOS app review process causes much controversy, taking weeks to get a single, critical update into the hands of users, creating a rift not just between Apple and developers, but developers and users who have to endure potentially bug-ridden software for a long time before a fix is made available. The App Store, on both iOS and Mac, has undoubtedly been a force for good, spawning many, many businesses and providing a way for a small-time developer to reach millions of customers. But the niggles hold it back from being a truly flourishing relationship. Google recently unveiled a new app review process that incorporated humans for the first time but, critically, does not force developers to wait weeks for the app to either be accepted or rejected. By using algorithms to flag potential issues – bad code, copyrighted or offensive material – Google's testers only have to focus on the 'bad' apps, rather than wasting time approving the good ones. Due to the market dynamics of Android and iOS, it's unlikely that vast swathes of developers are going to switch overnight, but it does make the grass on the other side seem a little greener and more appealing, a potentially vast problem for Apple. Beyond the review process, App Store discovery has been described as "broken," or words to that effect, too many times to count. Searching for apps can yield strange results with some developers deliberately adding popular app names to their app name. Searching for Skype, for example, produces a result for a picture enhancement app, something that is totally unrelated to video calls. Despite acquiring Chomp back in 2012, search and discovery in the App Store is still perennially flawed. Many independent developers not backed by big studios find it hard to get their app out there, usually via a spot on the 'Featured' page which is controlled by Apple. This may seem like a small issue, but Apple should be incredibly wary of how developers see the company – iOS is, in part, great because of its strong and rich app ecosystem, and alienating developers certainly won't help the operating system.